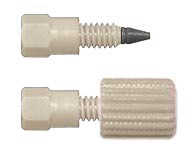 These fittings are constructed from premium grade natural PEEK material. 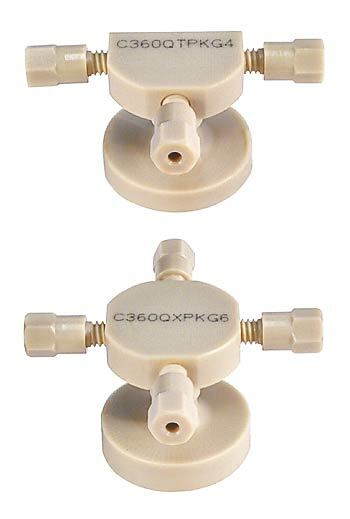 They are intended for use with PEEK or fused silica tubing at pressures up to 10,000 psi, or the maximum pressure for which the tubing is rated, whichever is lower. 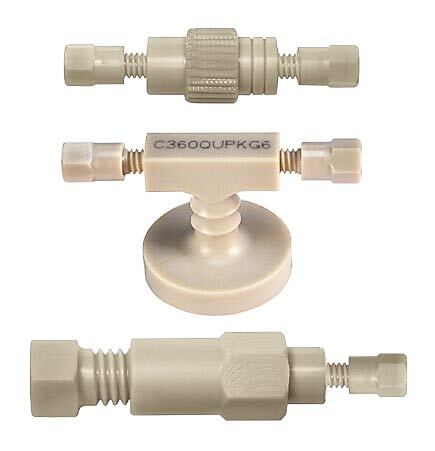 Quick-mount versions have an integral base with double-stick tape to secure fittings to a surface.